One of the delicious perks of flying this blog is that I get to be with the best people in the world and get to eat some of the best foodstuff Davao City has to offer. 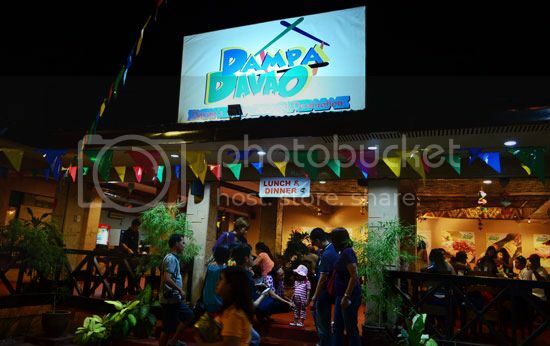 Our latest – DAMPA DAVAO! 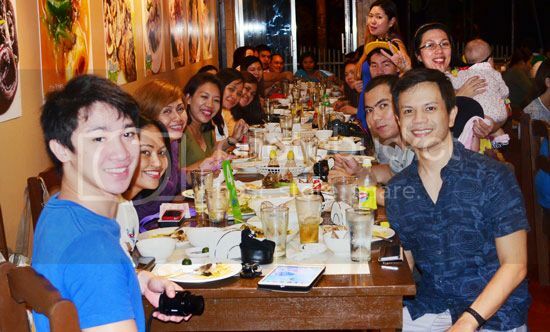 I got invited, together with other bloggers, to sample their seafood offerings. Davao City, being a coastal city is so blessed to have the freshest and the most varied marine food sold in the market. One of the top reasons why we always have the best, the freshest and inexpensive sea food in the country. DAMPA DAVAO, I must say, will be your next seafood destination. It is an open air restaurant along Tiongko Avenue, right across the backside of Central Bank. It has a cozy and homey dining ambiance which makes it a perfect place for friends, officemates and family gatherings. It has ample parking space for those who have cars and very accessible for those who will take a cab. But more than a comfortable dining space is their boundless list of scrumptious sea food dishes you can try and choose from. Take a look at few of the appetizing dishes we’ve tried! Adobong Pusit. 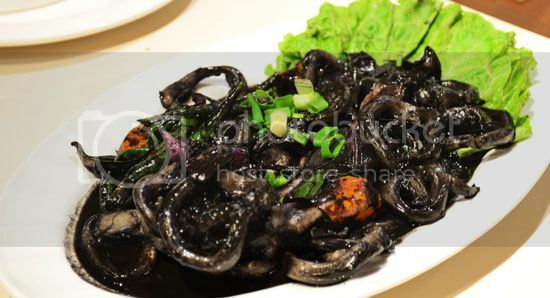 They used the squid ink to flavor and color this dish naturally. Cooked just right. The squid meat is not gummy. on your first date, lelz. You would not embarrass yourself smiling in tinted teeth, wouldn’t you? But date aside, this negra goodness was my highlight! Or Call (082) 305 3269 for reservations and inquiries. Thank you DAMPA DAVAO for having us. GREAT FRESH SEAFOOD EXPERIENCE! and because of the adobong pusit I just scheduled a weekend dinner with my family.